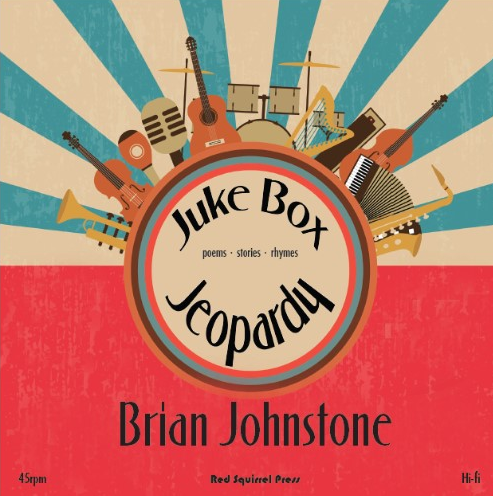 The first thing one notices upon picking up Brian Johnstone’s latest poetry collection, Juke Box Jeopardy, is the binding. The pamphlet comes in a brightly coloured sleeve, like a record. It’s a promise that you have picked up something unique, maybe even fun. And Johnstone delivers. her appeal that I stay, keep the faith? Thus, the experience of reading the collection is akin to that of a close friend eagerly sitting you down to introduce you to their new favourite band, until they are your new favourite band, too. These musical qualities are not lost in the more experimental pieces, such as those following the Japanese haibun form – a blending of story and haiku. These poems feature prose infused with sound sense. Take, for example, the joufully alliterative line in ‘First Contact’: ‘This photo is clearly not the singing pigs Pinky & Perky, TV puppets whose Party Time EP his parents had bought him’. 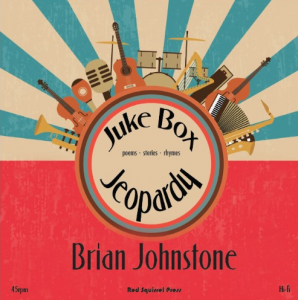 The titular poem, ‘Juke Box Jeopardy’, a reference to Juke Box Jury, is about the struggle to be successful in the music industry (a struggle Johnstone himself faced). But the collection itself is a story of moving on from old tastes and old dreams, with the final poem ‘Desert Island Deserter’ narrating someone’s escape from the titular island of the music-themed radio show Desert Island Discs, using their eight favourite tracks to ‘paddle’ their raft. After all this nostalgia, Johnstone tells us, it is time to find something new. The final note of the collection is not bitter but hopeful. Overall, Juke Box Jeopardy is an exuberant celebration of music for serious and casual fans alike. It invites the reader to not only reflect fondly on the past but also to look to the future with optimism.